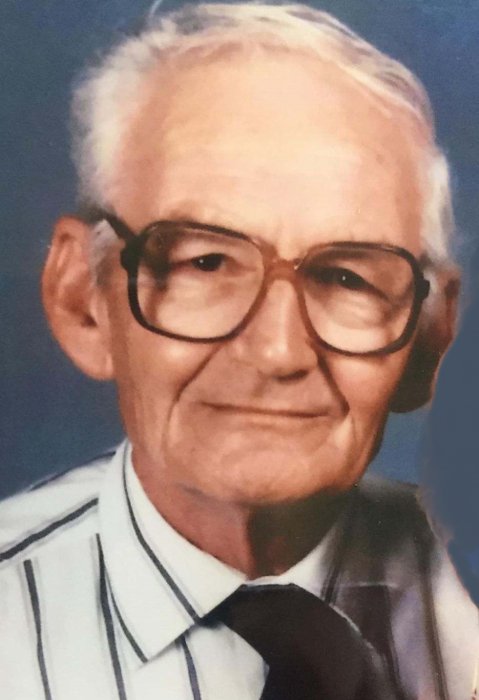 Obituary for Theodore G. Holben | Fox Funeral Home, Inc.
Theodore G. Holben, 92, of Cabot, formerly of Vandergrift and Apollo, passed away on March 17, 2019 at the Concordia Lutheran Ministries. Born March 31, 1926 in New Bethlehem, he was the son of Jacob Clinton "Chuck" Holben and Rhoda Brocious Holben. Ted served in the US Army during WWII. He worked at Pullman-Standard and at numerous trucking companies including Kaplans, Bremens, Jim Moser, Chuck Martin and Fred Gerner. He retired as an equipment operator from the US Steel Sintering Plant in Saxonburg when it closed. He was a member of St. Luke Lutheran Church in Cabot, the American Bowling Congress, the VFW. He enjoyed bowling, having bowled a perfect game when he was 72 . He also enjoyed western movies, country music and baseball, having managed multiple teams throughout the years. Surviving are his children, Linda (Ed) Mohan of Cabot, Bruce (Brenda) Holben of Saxonburg, Brett (Barb) Holben of Cabot and Chris Holben of Cabot, 7 grandchildren and 11 great-grandchildren. He is preceded in death by his parents, his wife, Rosemary "Sis" Lang Holben, his son, Grant Holben and 1 grandson. Friends will be received from Tuesday, March 19, 2019 from 2-4 & 6-8 pm at Fox Funeral Home, Inc., Saxonburg, PA.
Funeral services will be held on Wednesday, March 20, 2019, 11:00 am at the St. Luke Lutheran Church, with Rev. Ben Berteau officiating. Interment will follow in St. Luke Cemetery. Memorial donations may be made to the St. Luke Lutheran School Plant a Seed Fund.